Throughout the 20th century, a Nigerian named Solomon Osagie Alonge worked as the first official photographer for the Royal Court of Benin, eventually earning the title of “Chief.” Much of Alonge’s catalogue of images centers on the reign and practices of two Obas over the course of Benin City’s history: Oba Akenzua II (1933–78) and Oba Erediauwa (1979–present). “Oba” is the Edo word meaning king or ruler. But the world that Alonge (1911-1994) documented away from official ceremonies, rituals, and events was filled with stylish and free-thinking young men and women who had stepped in front of his lens at the local studio he built. It became “the place” for portraits. Those in the upper echelon of society who could afford to do so would come dressed in their best outfits to have their portraits taken. Staring straight into Alonge’s lens, each subject had the power to represent himself or herself in the manner of their own choosing, a significant statement at a time when photos of Africans were often filtered through the gaze of a non-African photographer or anthropologist. Alonge would mix his own chemicals, hand color and retouch many of his prints. Many of his early photographs–including his self portraits–were taken outdoors because electricity was not available in Benin until 1945. In that year, Alonge began photographing his subjects indoors, with studio lights, backdrops, and props. While he is not as well-known as other seminal African photographers, Alonge’s record of Nigerian royalty and social class is one of the most extensive and well-preserved collections from the period. In September 2014 the Smithsonian’s National Museum of African Art debuted a fraction of the nearly 3,000-image collection that Alonge had amassed over his lifetime in the exhibition “Chief S.O Alonge: Photographer to the Royal Court of Benin, Nigeria. It has just announced the exhibit will be extended until January 2016. While some of Alonge’s studio work is on exhibit, hundreds more photos have remained unseen. As the museum researchers undertook extensive field work in Benin City, they were able to locate, identify, and interview many of the stylish subjects and even some members of the court. 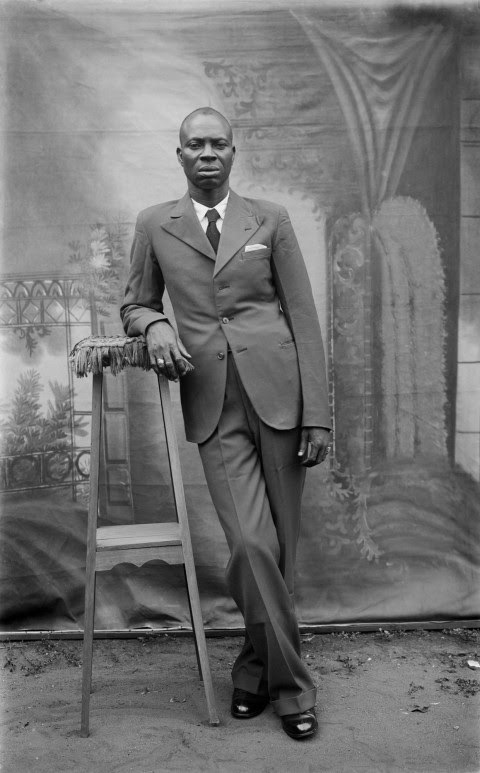 ‘Chief S.O Alonge: Photographer to the Royal Court of Benin, Nigeria,’ continues to be exhibited at the National Museum of African Art in Washington, D.C through January 2016.